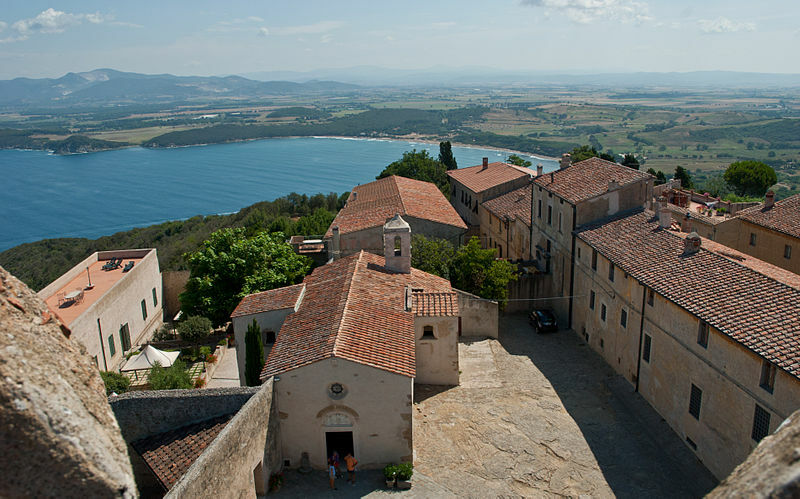 Populonia is situated on a hill, surrounded by the sea. 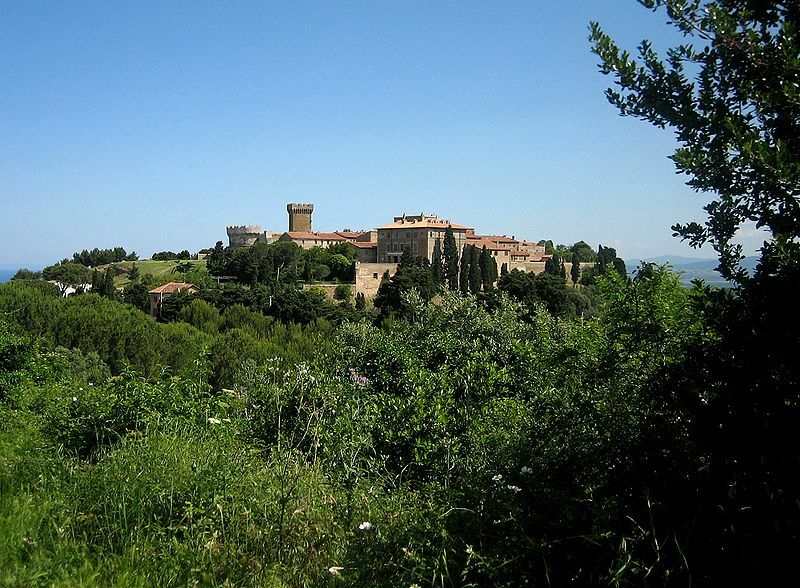 The town still has its medieval walls, built in order to protect the population from the barbaric pirate attacks, and the fortress, erected in the half of the 15th century for Jacopo II Appiani’s will. Inside the walls, there is a picturesque little village of the 14th century with its two main lanes, San Giovanni di Sopra and San Giovanni di Sotto, where a little, but important, private museum hosts Etruscan and Roman finds, found in the excavations of the region and the sea. From the medieval fortress (it is possible to visit it), you can enjoy a wonderful view of the underlying plain and the Tuscan archipelago.